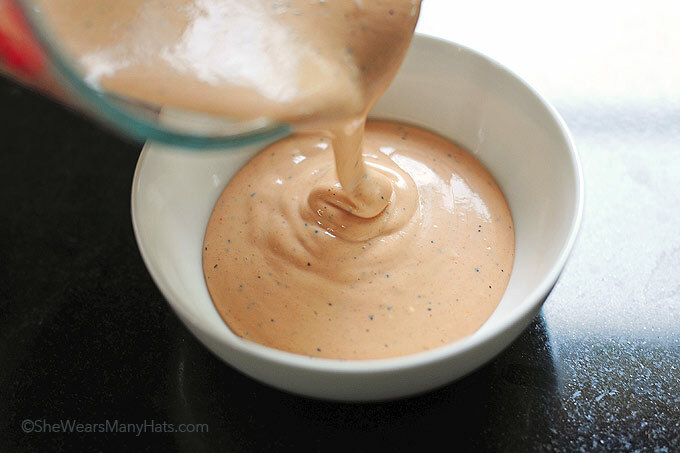 This classic Comeback Sauce Recipe is a tasty favorite to serve with chicken tenders, or other finger foods that call for dipping. 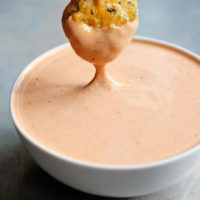 There’s a certain Southern fast food establishment known for their chicken tenders and their spicy dipping sauce, which is basically their version of a Comeback Sauce, a spicy mayonnaise based sauce often served here in the South with many dishes, especially those that are fried. It’s called Comeback Sauce for a reason, y’all. It keeps you coming back. It has some kind of wicked power, or something. We always requests an extra or two of the special sauce when we order those tasty tenders. 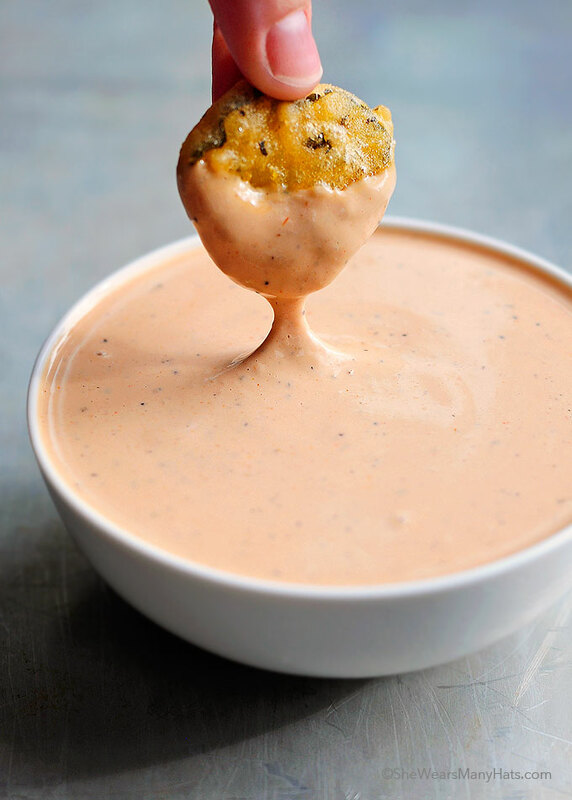 The sauce is mighty tasty to say the least, and is good served with just about anything, from Black-Eyed Pea Cakes, to shrimp, to fried pickles, and would probably even make shoe leather edible. Personally, I like dipping sautéed green beans in it. It’s yum, y’all. I decided to make our own Comeback Sauce concoction so we only have to go as far as the fridge to get it instead of a drive-thru. I’ve made several renditions over the years, but actually took the time to write the ingredients and proportions down for this recipe this time. It’s a bit spicier, but just as addicting, perhaps even more so, than the original inspiration from down the road. The amount of spice can be adjusted to preference. If you don’t care for a spicy version easily cut the amount of hot sauce called for in the recipe below. This Comeback Sauce Recipe can be made ahead of time and kept covered and refrigerated for about a week—if it lasts that long! It’s not called Comeback Sauce for nothing! A super tasty dipping sauce perfect for serving with finger foods. Watch out! It will disappear before your eyes. Cover and store refrigerated until ready to serve. is this similar to Zaxby’s sauce? it looks like it! if so, I’m definitely coming back to make some. my faaavorite of the sauces! 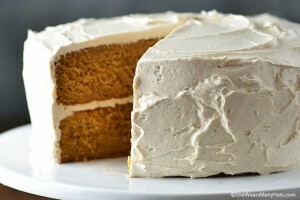 This looks like something my family would love, thanks for sharing this recipe from the South! 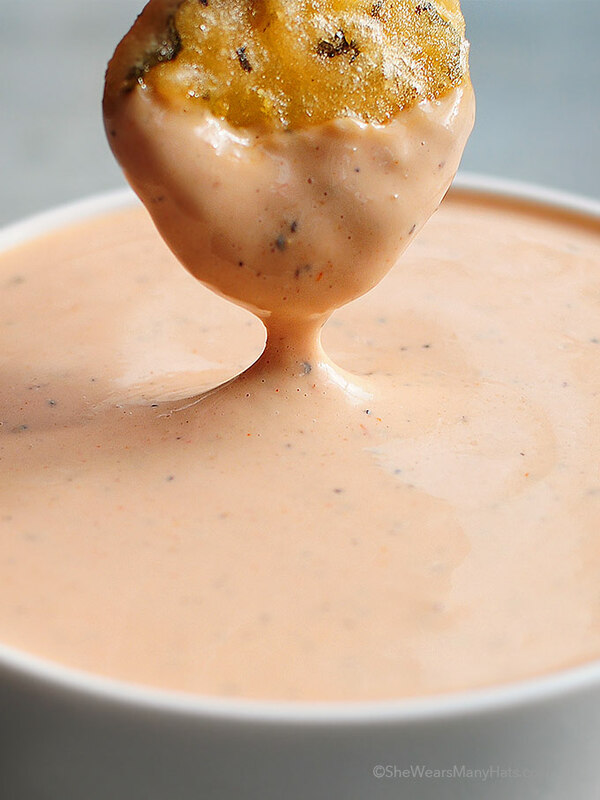 FOR YEARS I HAVE MADE A SIMILAR DIPPING SAUCE. BUT INSTEAD OF MAYO I YSE SOUR CREAM, SIRACHA, GARLIC AND ONION POWDER (NO SALT). AND SWEET CHILI SAUCE. EVERYONE LOVES IT. GOOD FOR CHIPS, SEAFOOS, FRIES, ETC!!! My dad and I made it to go along with our fried green tomatoes and it was amazing! Thanks for the great recipe! Goodness, Madelyn … fried green tomatoes sounds fabulous right about now! What type of hot sauce do you recommend? Frank’s? I usually use a basic Texas Pete or Sriracha. If you like Frank’s, go for it! Can sour cream or plain yogurt be substituted for the mayo? Can’t eat mayo. Yes, but it will change the taste of the sauce. I’ve been making this for 50 years when we have boiled shrimp. I don’t use garlic, just salt. Living on Gulf Coast of Florida we eat a lot of fresh shrimp. Are you sure the amount of hot sauce is correct? I’m thinking maybe 2 teaspoons. Just made some with 1 teaspoon & want to add the second but hubby who is a comeback sauce addict said it’s perfect. I would add to your preference. We like things spicy! Even with the amount the recipe calls for I didn’t think it too spicy. Quite delicious actually. Yum! Paired perfectly with a recipe for summer squash fritters I also found on Pinterest. Thanks for sharing! Comeback sauce originated in Jackson, Mississippi by the Greek restaurant owners. Use chili sauce instead of ketchup, add a little lemon, and you are closer. I like lots of hot sauce and a little mustard! Oh yes, Amanda! Crab cakes with this sauce would be fabulous. It’s just Copycat Zaxby’s Sauce. But good. mayo, ketchup, and sugar was french dressing for salads 50 years ago! I think it’s exactly Comeback Sauce from Jack’s? Not Zax sauce which isn’t spicy! I know in the comments you mentioned a week of refrigeration. Is that how long this sauce lasts? If not, how long can it be stored before going bad? Just the right amount of kick! Absolutely yummy. It has a really nice kick to it. My sister loved it so much, I gave her most of my first batch. It’s hard to believe that something so simple could be soooooooo tasty. Will be making this again for sure. Thanks for sharing.